China has launched a two-man space mission called Shenzhou 11, officials with the space program said on Monday. This brings the country closer to its target of setting up a permanent manned space station by 2022. The spacecraft will dock with orbiting space lab Tiangong-2 within two days, and the astronauts will stay in the space lab for 30 days, said Deputy Director of the Manned Space Engineering Office Wu Ping. 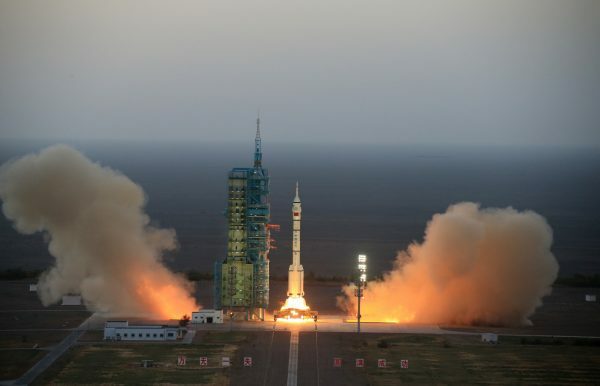 This is China’s longest manned space mission so far. The mission will test whether the space lab and craft are capable of supporting astronauts’ life, as well as aerospace medical experiments, space science experiments and in-orbit maintenance with human participation, Chinese media reported. While China to date has focused on near-Earth space exploration, future missions will be bigger and go farther than 400 km (249 miles), said Zhang Yulin, an official with the space program and the Central Military Commission.